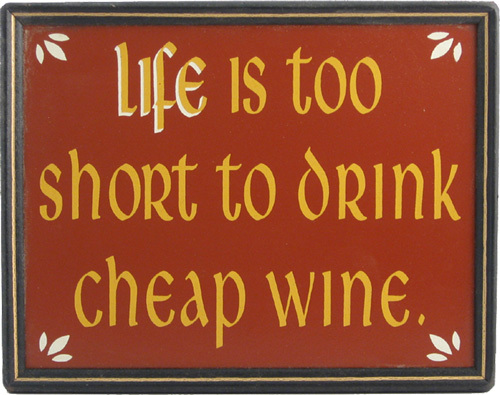 Browse our selection of high-quality old-fashioned wood wine plaques. 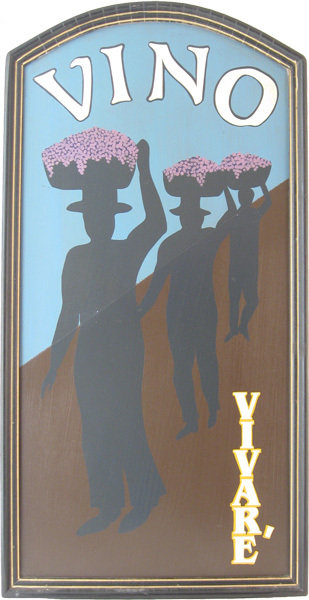 We offer a variety of personalized, humorous, and art-deco plaques with wine, vineyard, and grape themes, perfect for the kitchen of a wine connoisseur, the walls of a vineyard's shoppe, or a trendy restaurant. Wine a bit... you'll feel better. Our wine plaques make great gifts for the holidays, housewarming gifts, and much more. Get yours today! Made in the USA from furniture grade wood, silk screened by hand for a classic look and feel. These wine wall decor plaques come ready to hang, and can be shipped anywhere as a gift for a friend or relative. Several of our wine plaques can be personalized with your name, family name, or the name of a vineyard, winery, or restaurant.